Dr. Dawn H. Lindeman is a Licensed Clinical Psychologist and Nationally Certified Counselor in Bloomington, Indiana specializing in working with children and families. Her primary focus is conducting psychological evaluations for children, adolescents and adults. Dr. Lindeman has more than 10 years experience working in healthcare, academia,and private practice settings. Her passion is helping children, adolescents, and adults become the best version of themselves by meeting them where they are cognitively, emotionally, and behaviorally and enhancing their quality of life. Dr. Lindeman provides evidence-based treatment based on a combination of Cognitive Behavioral and Interpersonal Therapy. While working toward her doctoral degree in Counseling Psychology from Indiana University, Dr. Lindeman worked with diverse sections of the public providing psychology services in academic, medical, and private practice environments. At the Center for Human Growth at Indiana University she facilitated individual counseling, assessment and ongoing clinical intervention for clients with developmental and psychiatric concerns. As a counselor with Indiana University Health Bloomington Hospital, Dr. Lindeman conducted acute inpatient care with extensive experience in clients suffering from addictions and mental illness such as schizophrenia, bipolar disorder, depression, anxiety and related affective disorders. And as a licensed clinical psychologist with Christopher and Associates Evaluation and Counseling Center, she conducts psychological evaluations for cognitive, behavioral and emotional disorders, leads group therapy for adolescents, and provides individual counseling for all age groups. In addition to her psychological services at Lindeman & Associates, Dr. Lindeman is also able to diagnose and treat dyslexia and received training from international dyslexia expert Susan Barton, creator of the Barton Reading & Spelling System. Dr. Lindeman is the co-founder of Foundations Dyslexia & Learning Centers and director of the Bloomington Center. 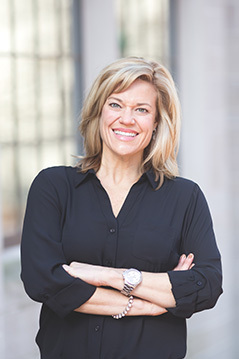 Dr. Lindeman received her bachelor’s degree in journalism, master’s degree in Community Counseling and Counselor Education and doctorate in Counseling Psychology from Indiana University. She is a member of the American Psychological Association, American Counseling Association and Indiana Counseling Association and serves as an associate instructor with Indiana University. Dr. Lindeman enjoys spending time outdoors, camping, gardening and playing basketball with her sons and husband.